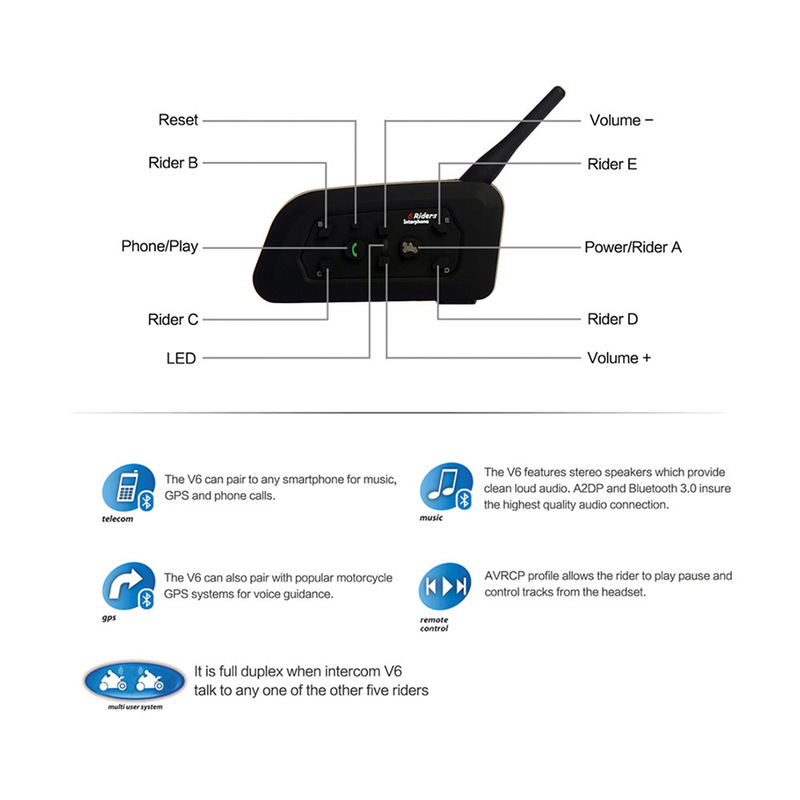 This high end multi interphone system allows up to 6 riders to be connected to each other (of course you will have to buy more systems to get to 6). 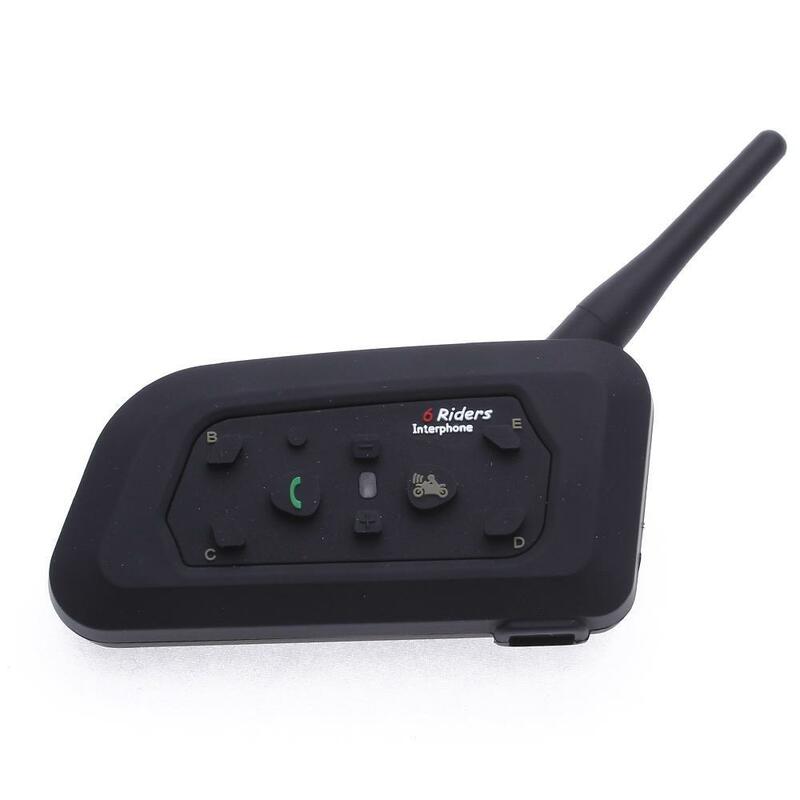 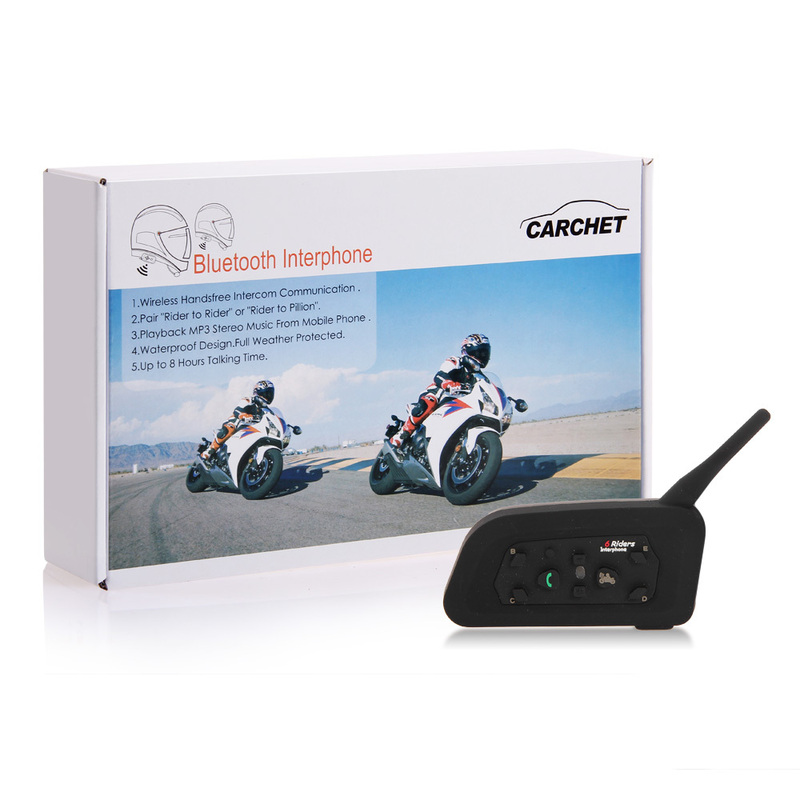 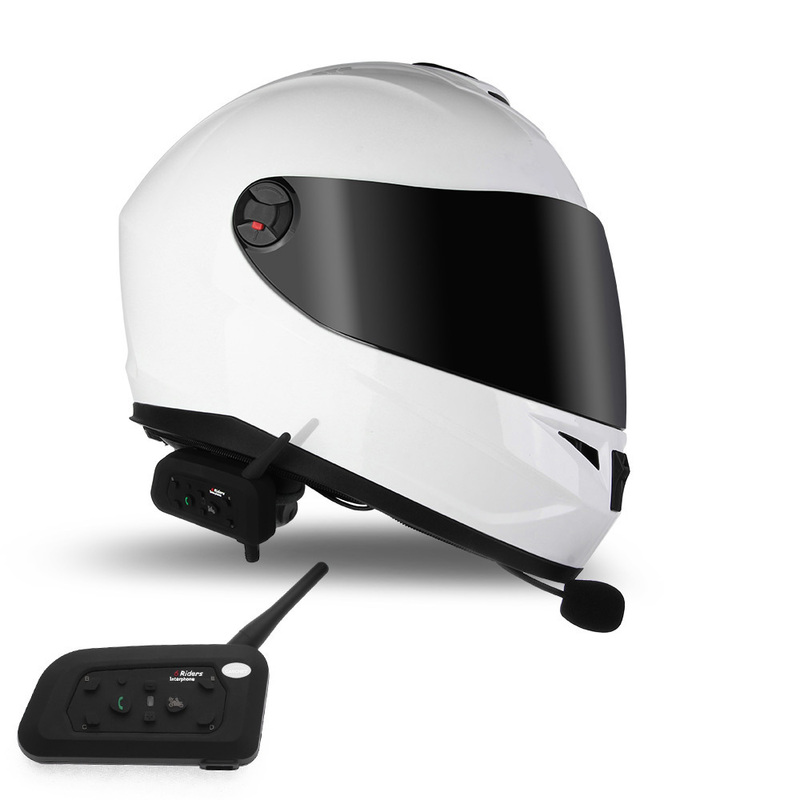 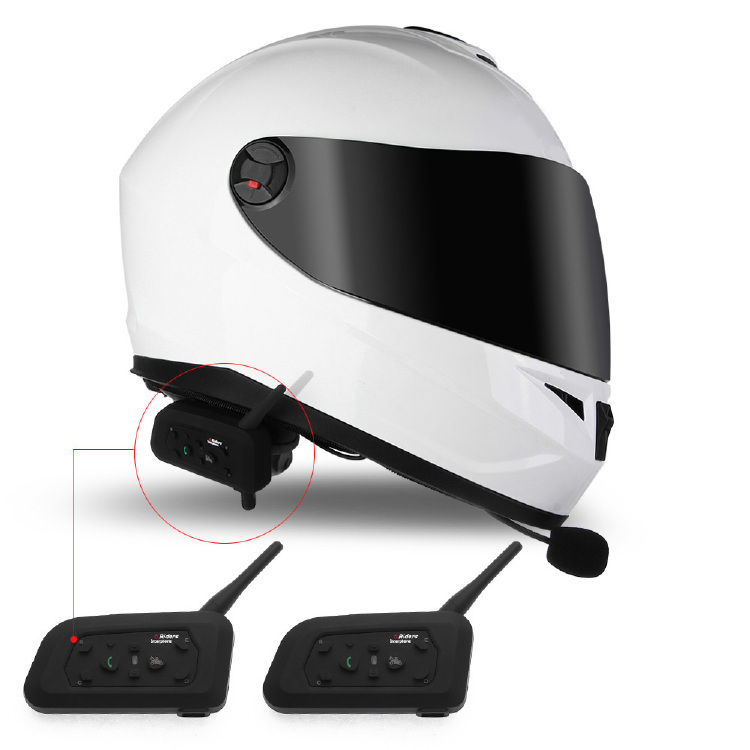 *Long range 1200 meters intercom, Bluetooth interphone kits for helmet motorcycle, snow mobile, ski, ATV etc. 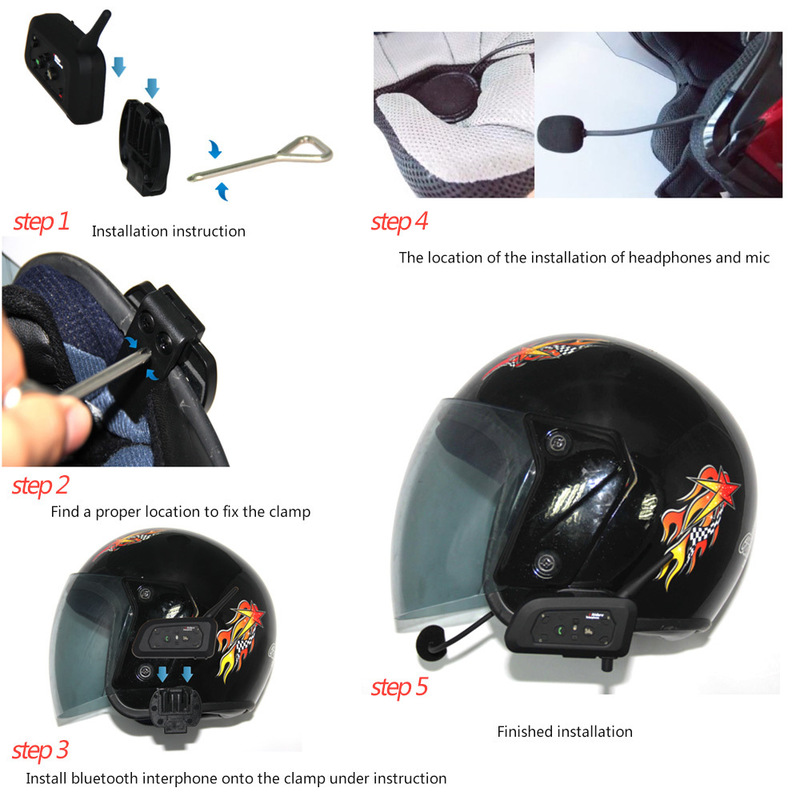 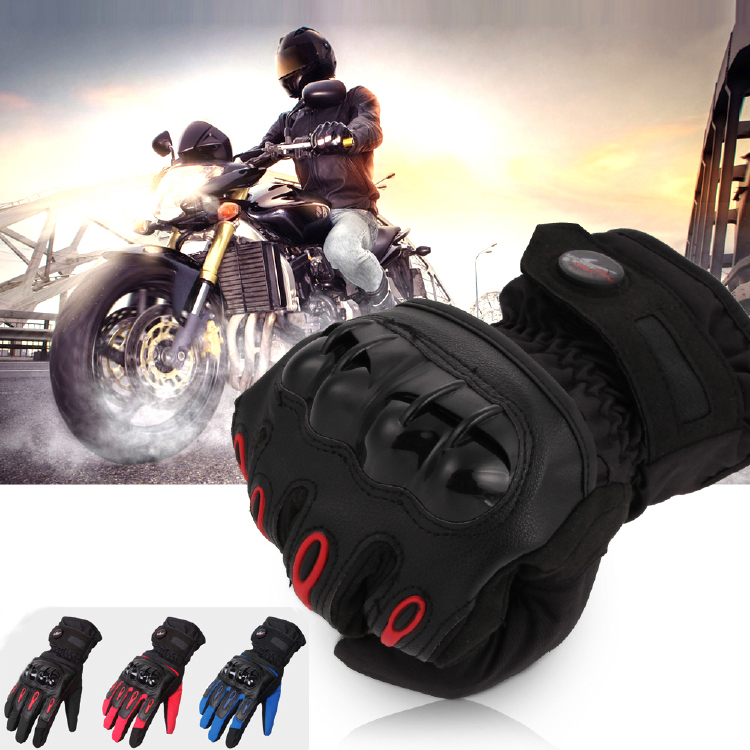 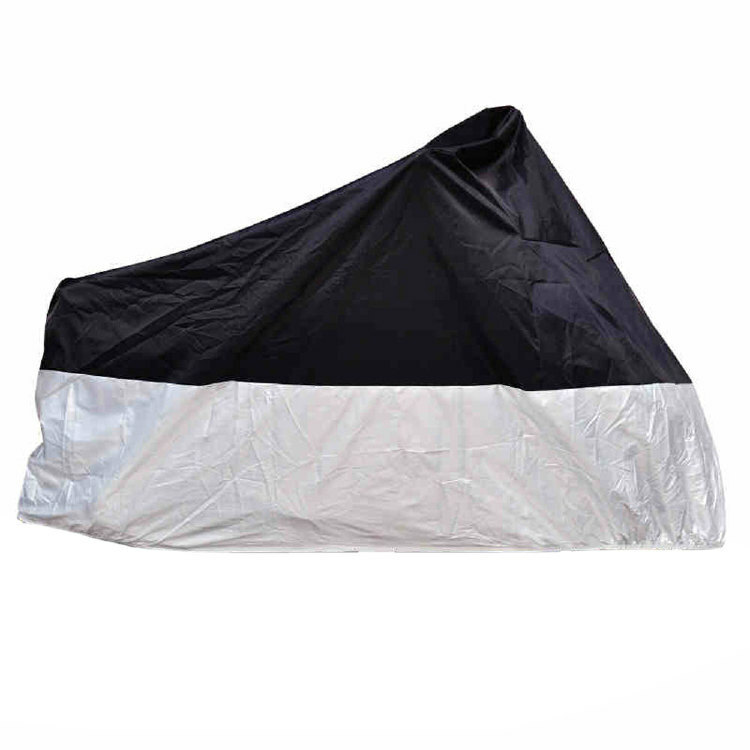 *It can pair "rider to rider" or "rider to pillion" and easily switch to any of them. 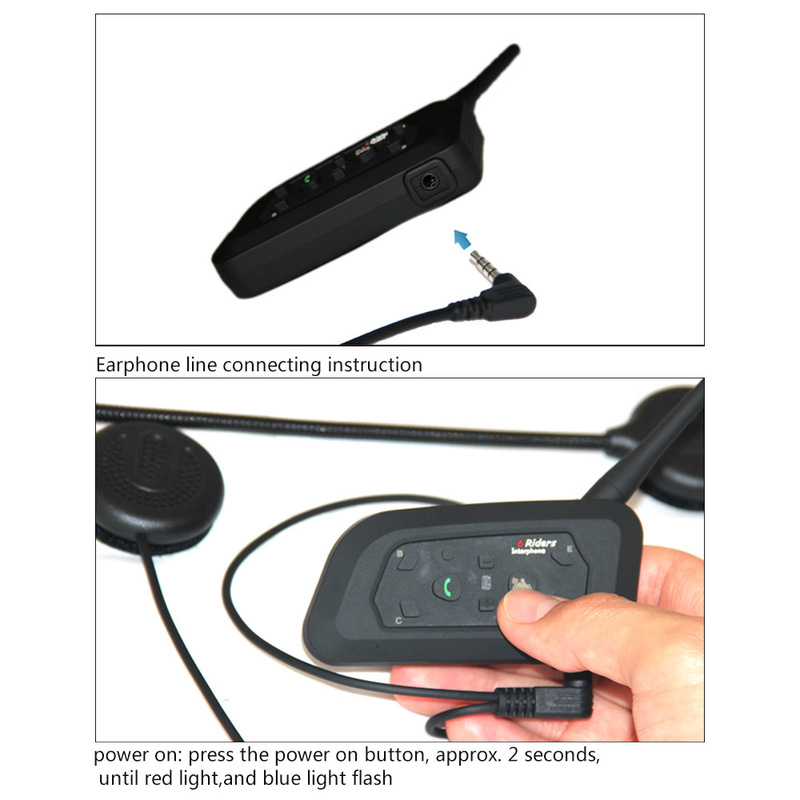 Note: When there is a phone call, it will be connected automatically after 5 seconds. 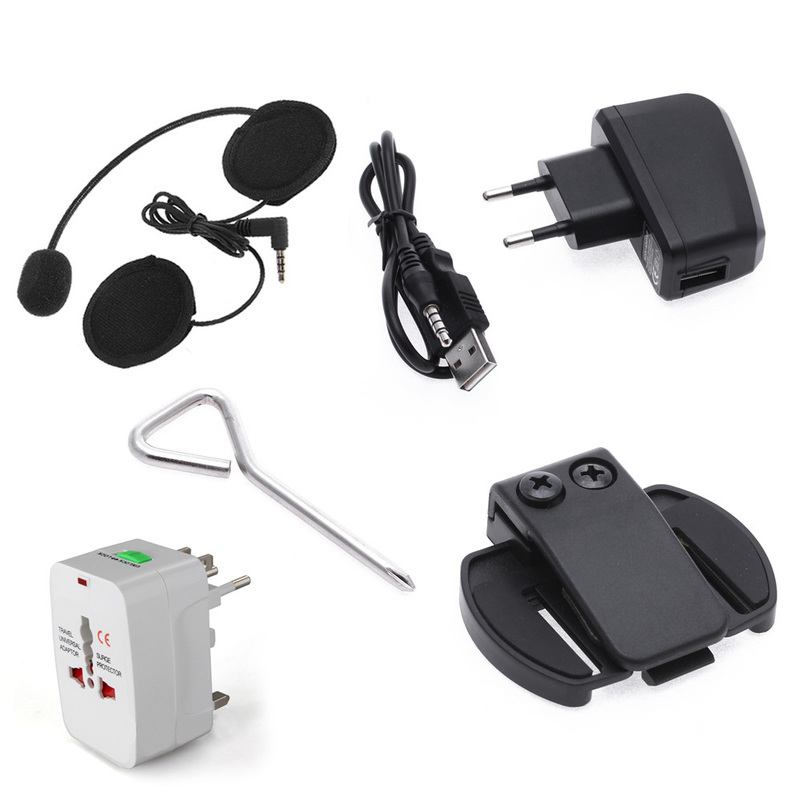 Or you can press phone key to hang up.